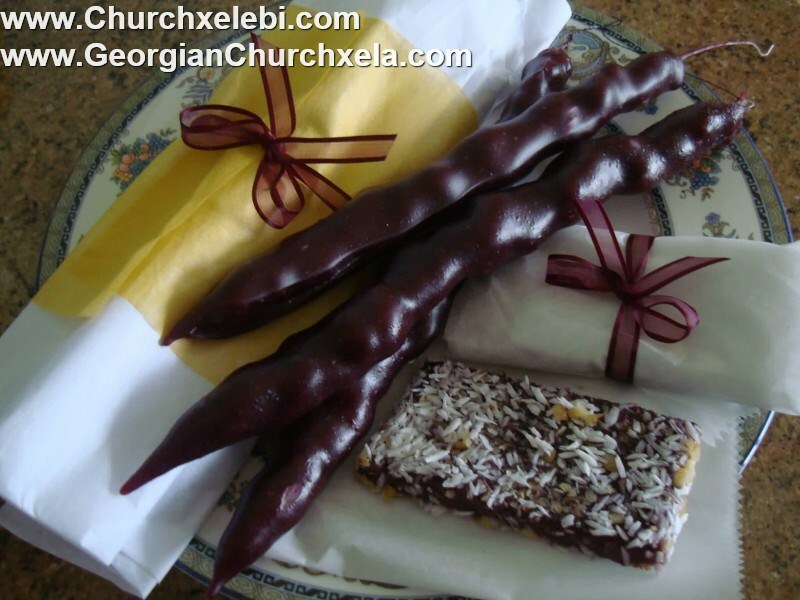 Churchkhela is Georgia’s (Tbilis) traditional homemade Snakbar. Most people can’t afford to hire a gourmet chef full time and are unable to cook Georgian Gourmet meals. We’ve come up with the next-best thing: Authentic flavored-delicious meals, foods, delivered to your door. At Churchkhelebi, we’ve perfected dining in. Our main goals are convenience and exquisite quality. Our meals represent some of the classics of Georgian gourmet cuisine—sometimes with a modern update, but always faithful to the original. And all are absurdly simple to prepare and serve. Whether you’re hosting a gourmet dinner party, celebrating a special occasion, or just looking for a weeknight treat, we have what you need. You may want to check out our web site weekly, for new foods that complement each other brilliantly. Or mix and match to your own taste. Or use one of our delectable entrees as the base for a wonderful meal. The possibilities are endless. And if you have friends or family with a taste for gourmet, what gift could be better than a sumptuous gourmet meal? We hope you’ll be as amazed with the deep flavors and creativity of our dishes and meals as we are. Bon appetit!